Bob is making me write this post. He likes to force me out of my comfort zone. Currently he is standing over me with his arms folded in front of him yelling, “Type, type.” It’s like the writer’s version of being chained in the hold of a boat while the master yells, “Row, row.” He has promised to let me have a sip of water once I’ve posted. The reason for my hesitation is that this post is a little like patting myself on the back. I’m not comfortable doing that. Perhaps I should stretch first and that would help. Anyway, Bob thought I should tell you a bit of exciting news. My last post about stalking zombies at CVS described one of the most spontaneous bits of fun I’ve had meeting new people while out and about. I decided to share it on Erma Bombeck’s Writers’ Workshop facebook page. Today I was contacted and asked if they could share it on their blog. I am so honored. I grew up reading Erma and feel like she is part of my extended family. I am reminded that I would have stopped writing a long time ago if I didn’t have a few people out there reading what I wrote (besides my mom and dad). So, thank you, my friends, for reading the stuff I throw at you. You warm my heart with your kind words of encouragement. I hope my little offerings lighten your load and bring a smile to your faces. 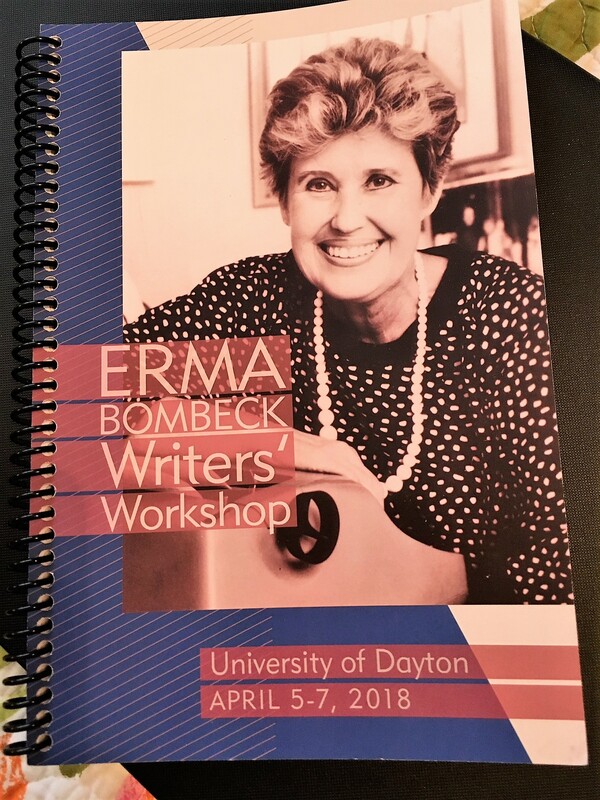 In case you’d like to see my post on the Erma Bombeck Writers’ Workshop Blog and also take a look at what some other humor writers are doing, you can click on this link for the Erma Bombeck Writers’ Workshop Blog. It is a very entertaining place to hang out and do some reading. Now, if Bob doesn’t mind, I think I’ll have that sip of water.